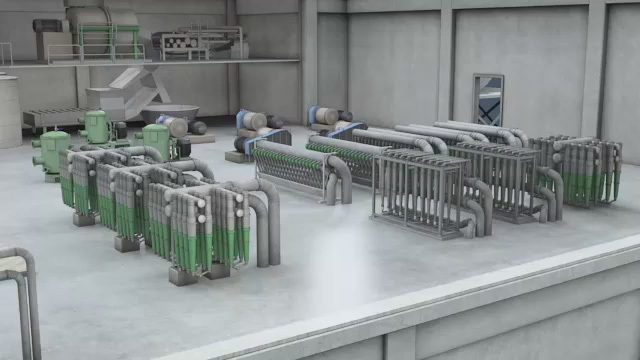 Centrifugal cleaners are typically arranged in parallel "banks" of cleaners. 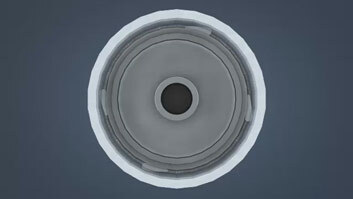 Rotational motion and centrifugal force are used in both forward and reverse cleaners to separate contaminants. 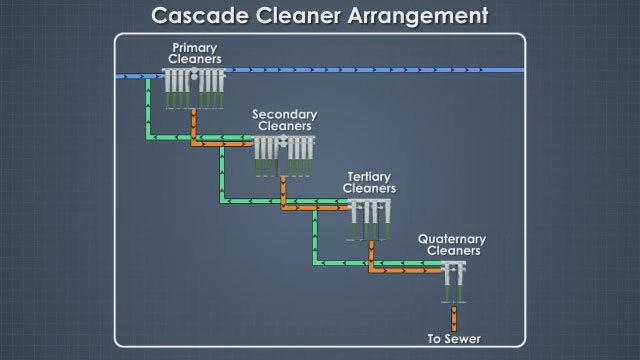 Multistage cascade cleaning systems increase the recovery of fiber by reprocessing the rejects of the primary cleaners. 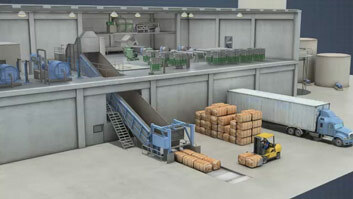 OCC plants convert recycled old corrugated containers into pulp that can be used on paper and board machines to make valuable pulp and paper products. After repulping, the OCC pulp contains some contaminants, such as staples, glass debris, and sand, as well as fiber flakes and bundles that were not separated into individual fibers during repulping. 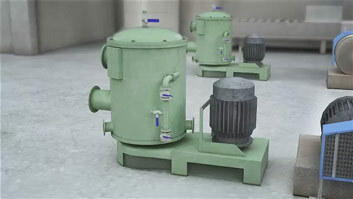 To remove these undesirable materials, the pulp slurry goes through one or more screening processes to remove the contaminants that are larger than fibers, followed by one or more cleaning processes to remove smaller contaminants that have lower or higher densities than pulp fibers. 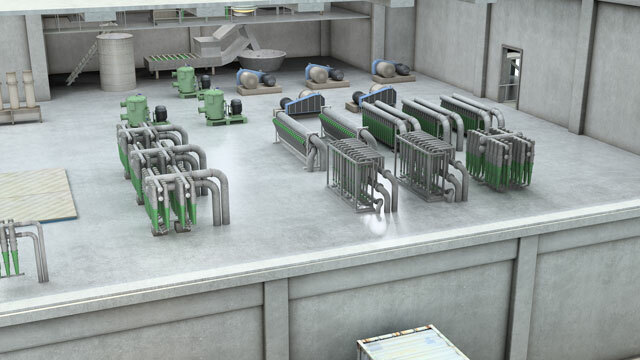 This course describes this cleaning process, the principles involved, as well as the safety hazards and guidelines associated with the OCC cleaning process. What is the benefit of cleaning recycled fiber? Cleaning recycled fiber protects downstream equipment from damage and wear and improves the appearance and quality of the final paper or board sheet. What is the relationship between cleaner efficiency and feed consistency? Generally, as feed consistency to a cleaner goes down, the removal efficiency increases. Centrifugal cleaners are used to remove contaminants of fiber size or smaller that remain in the OCC pulp slurry after screening. They use rotational motion and centrifugal force to remove contaminants whose density or specific gravity differs from the wetted pulp fibers. 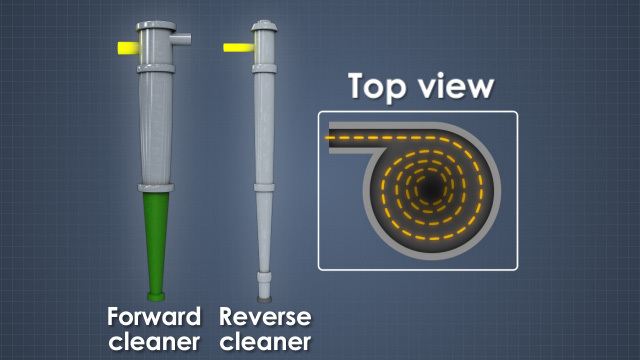 Forward cleaners remove contaminants that are heavier or more dense than pulp fibers, such as sand, glass, and metal fragments. Reverse cleaners remove contaminants that are less dense or lighter than the fibers, such as waxes, plastics, and hot melt adhesives. 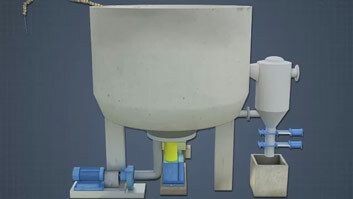 In both cleaner types, the pulp slurry is fed into the cleaner tangentially or roughly parallel to the wall at the point of entrance near the top. 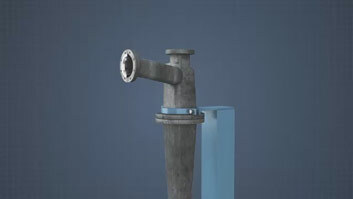 Once inside, the fluid pressure created by the cleaner supply pump is converted to rotational motion as the slurry forms a vortex.